Onward Search lists the 16 most in-demand digital positions of 2016. As the digital world sharpens its focus on customer service, user experience and seamless interaction, companies must adjust their workforces to get the necessary skills. 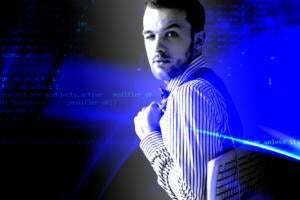 So, what are the most in-demand roles in this new, consumer-focused, digital era? 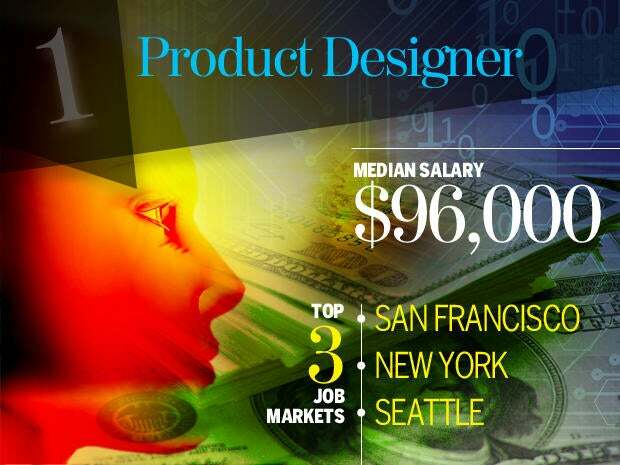 Product designer tops the list of top 16 most in-demand positions for 2016, compiled by digital and creative recruiting, search and staffing firm Onward Search based on data from their 10 U.S. offices and the hiring needs of their clients. "In 2016, businesses are focused on going beyond the bare-bones digital offering; working to update their products, provide better customer service through nontraditional channels, and create the latest and most useful applications for their consumers. This data is a great example of how the market is continuing to evolve towards user experience, interaction and the creation of new products," says Mike Ondocin, president of Onward Search. The "Top 16 for '16 Salary Guide" is a subset of data from Onward Search's 2016 All Star Salary Survey. The list is ranked based on data from Onward Search's 10 nationwide offices. Salary data was compiled through Onward Search's proprietary hiring data, combined with public information from Glassdoor, CareerBuilder and Indeed; the rankings of top locations were based on job posting volume from Indeed and SimplyHired. 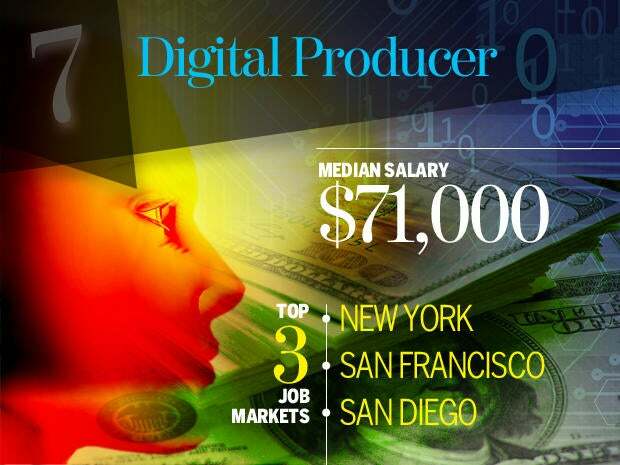 Here are the top 16 most in-demand digital and creative roles, median salary and the top three geographical markets in the U.S., as ranked by Onward Search. As companies take into account the needs and preferences of end-users, the role of a product designer becomes increasingly critical. "Companies need to take their end-users' opinions into account, not just the opinions of their internal designers. Whereas the role of a product designer used to be solely a development role, it's now incorporating the ability to identify, investigate and define problems with a current strategy, and ultimately visualize, design, test and bring new solutions to fruition," says Ondocin. 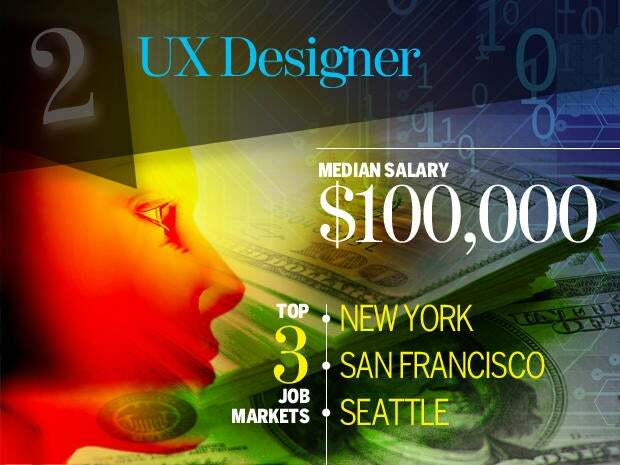 Related roles include user interface (UI) designer, interaction designer, visual designer and interface designer. The user experience (UX) is a major competitive differentiator for companies, that now look to their customers to determine the direction and feature set their products should have. Other related roles include user interface (UI) designer, usability researcher, mobile UX designer, information architect. An elegant, engaging and intuitive front end is key to engaging consumers and immersing them in your product experience. Good front-end developers understand the need for a stellar first impression, according to Ondocin. 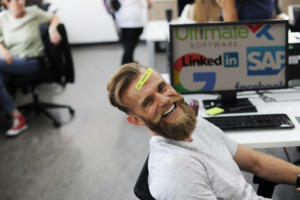 Related roles include user interface designer, web developer, HTML5 developer, WordPress developer, interactive developer. 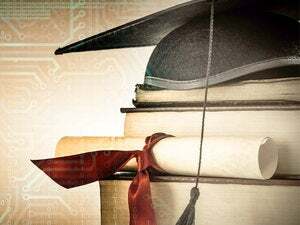 Digital design requires a unique skill set that incorporates elements of traditional design as well as technical skills and experience. Related roles include visual designer, web designer, integrated designer, interactive designer. Full-stack developers have the technical chops to visualize, design and build front- and back-end solutions and complete web solutions and apps. 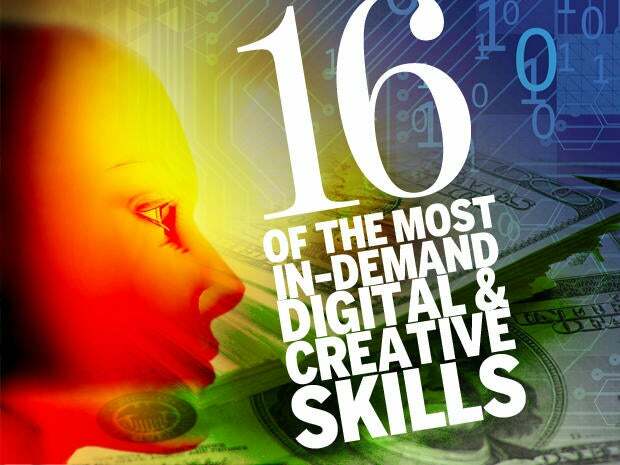 These skills are in high demand in the enterprise as the world's businesses convert to a digital landscape, according to Onward Search's data. Related roles include UX developer, Android developer, iOS developer, mobile developer, product developer, application developer. 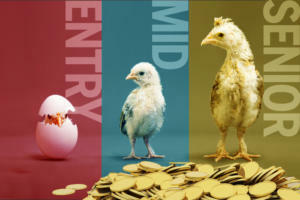 Content is king; technical and design chops are must-haves for today's digital businesses, but copywriting skills are just as critical to effectively communicate features, benefits and competitive differences to consumers. "Honestly, it's almost impossible to find someone with both tech skills and writing skills; if you can find a great copywriter, you do whatever you can to keep them!" says Ondocin. Related roles include content strategist, content creator, copyeditor and technical copywriter. Early this year, YouTube chief business officer Robert Kyncl had this to say about the use of video, "Digital video will overtake television to become the single largest way people spend their free time before the end of this decade." As video becomes a major content distribution medium, skilled digital producers will continue to be in high demand. Related roles include interactive producer, web product manager, multimedia producer, video producer, product manager. With the explosion of digital solutions and the increasing number of complex IT projects, skilled project management talent is a must-have for any digital company, says Ondocin, whether they are generalists or specialize in areas like software or creative services projects. Related roles include digital project manager, creative services project manager, technical project manager, project lead, program manager. Creative directors are typically found in industries like graphic design, media, entertainment or film. Often they are creative leads at advertising and marketing companies. Many creative directors work with artists, designers, copywriters, sales teams and marketers to develop a comprehensive vision and plan for products and services. Related roles include art director, creative services director, design director. With the influx of big data, analysis is increasingly more important for companies to understand which aspects of their campaigns and advertising are working, and to gather and analyze customer and user feedback and data. Related roles include marketing operations analyst, campaign analyst. This crucial role is in charge of developing, planning and executing a company's digital marketing strategy and deployment, as well as overseeing efforts to gather data about campaigns and analyze it to improve effectiveness. Related roles include digital media manager, online marketing manager, web marketing manager, marketing manager. Graphic designers are responsible for the design and presentation of a company's advertisements, marketing materials, magazines and corporate reports, says Ondocin, as well as customer-facing design related to packaging. Related roles include packaging designer, presentation designer, graphics editor, graphic artist, multimedia designer. If you aren't active in social media, then you are missing big opportunities. Social media has become an incredible marketing and communications tool for companies to expand their audience and to develop and maintain two-way relationships with their customer base and audience. Related roles include community manager, brand ambassador, search marketing manager. 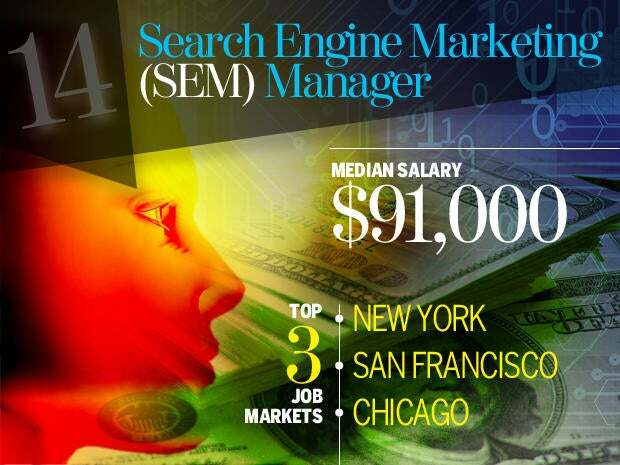 A search engine marketing manager must understand data and analytics as well as the intricacies of improving a company's or product's search results to drive more businesses and improve results of advertising. Related roles include search engine optimization (SEO) manager, paid search specialist, SEM analyst, SEO analyst, implementation specialist. This role combines the skills of graphic design, content creation and user interface/user experience to develop and deliver powerful presentations. 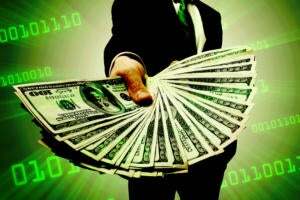 These presentations are used in marketing, advertising, sales and even in the start-up world when courting venture capital funds, Ondocin says. Related roles include PowerPoint designer, Keynote designer, infographic designer. Email marketing has been around as long almost as long as the internet and it continues to be a great way for organizations to reach their customer base. These marketing professionals determine the best way for companies to reach consumers through the written word, sharing information about company direction and new product developments. Related roles include push marketing specialist, campaign marketer, email marketing analyst.